The Immortelle serum was formulated to control + rejuvenate your skin. Made with potent botanical oils of immortelle, blue chamomile, cypress, grapeseed, and hempseed (just to name a few! 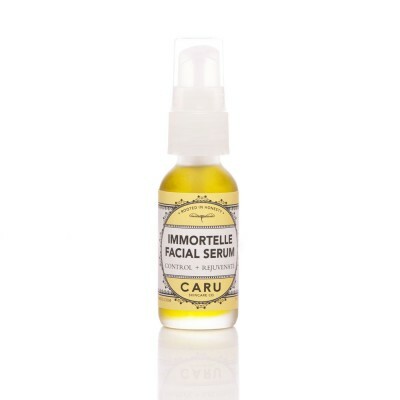 ), this serum will take seriously good care of your skin. 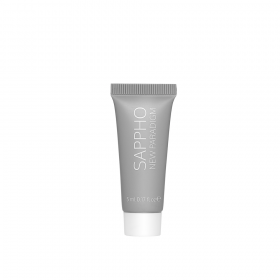 When applied in the morning and night, this serum will help tame oily complexions and prevent blemishes. It will also help heal and rejuvenate damaged skin and will leave skin feeling soft and supple. This serum is a perfect choice for those with oily or blemish prone skin. We recommend using the serum morning and night after cleansing and toning. It can be used alone or in conjunction with a moisturizer. This oil comes packaged in a frosted glass bottle, with a convenient natural treatment pump.